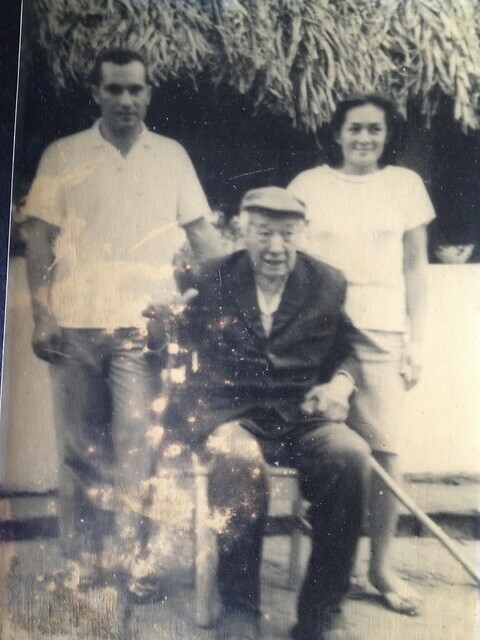 This was one of the last photos taken of Severiano Chavez, the great grandfather of my children on Nadia’s side of the family. It was taken around 1965 at the finca Brasilia near Warnes, Bolivia. Behind Severiano is my father-in-law, Hermes, who was around 25 years old at the time and his sister, Graciela (around 30 years old). Severiano died in April of 1968. Hermes told me a couple stories that I wanted to save for the family history I am building on my blog. The first takes place in around 1909. Severiano at age 26, left the ranch to go to Argentina to buy mules. He returned with 90 mules and went to the Pando department (an Amazonian state north of Santa Cruz) and traded the mules for rubber. He put the rubber in a boat and sent it to Manaus, Brazil where he sold the rubber for 4,500 libras de Queen Victoria in gold. This whole adventure took almost a year and he returned in 1910. On the estancia there lived about 20 families, all part of the Perez family. They had fled another estancia where the patron was mean. They were not slaves, being paid a wage, and they were free to come and go, but they were at the mercy of land owner. They are referred to as peones, peons, which is a Spanish American agricultural worker. Severiano treated them well and there was a total of around 80 people. He even built a school for the children and hired a teacher. My father-in-law remembers going to school with them. Hermes told me when the Chaco War started, the population of the workers increased with people fleeing from being drafted in the war. Severiano gave refuge and work to them. During the war years, he became richer because of the increased workers and he sold rice and corn to the army. Severiano later had a sugar cane production mill and made molasses to sell and make aguardiente, a distilled alcoholic beverage. Severiano bought a 1935 chevrolet 3-ton truck. I will try to get more stories from Hermes while I am here on holiday in Bolivia.